From the first watercolorists, to today's contemporary artists, there is a lesson to be learned. Every artist has something to teach us; even if it is something we want never to repeat in our own work. These articles, compiled from Watercolor Weekly, 2011-2012, have been edited with links added, and show a range of artists, some outside of the world of watercolor. 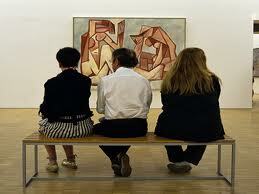 They are arranged historically, from oldest to artists of today. A good way to read this booklet is to scroll through until you see some images you like, then read that article. If you want more information, click on the title, which is a link to more information about the artist. If you are reading this in a printed version, you can Google the artist. We can learn from reading about an artist’s life, to show parallels of struggle and success in our own lives, but also to help explain the direction the artist went in. For example, being a grandmother turned Tasha Tudor’s interests towards children’s’ illustrations. Just looking at different styles can cause you to rethink preconceived notions of what art should look like. The watercolorists discussed in this booklet will inspire you to try a slightly different approach, and remind you of tricks you have not used in a while. If you find one thing to add to your repertoire from each artist you read about, you will be the richer for it. You may not use the ideas right away but they could pop up years later!